Need DAGR accessories? You have found the Premier Source. 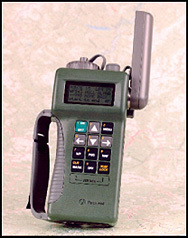 3-D Marketing has been designing and manufacturing both STANDARD and MODIFIED DAGR accessories since 2006 and its predecessor's, the PLGR, since 1996. Our prices and fast delivery can not be beat. The list below includes some of the high demand items which are carried as stock items and may be available for same day shipment. According to feedback from our Military customers, our products' design, material composition and performance characteristics are preferable to Rockwell's, i.e., our RA-1/RA-2 Antennas, 10 meter RA-1/RA-2 Antenna Cables, Lockable Installation Mount and Vehicle Power Cables. 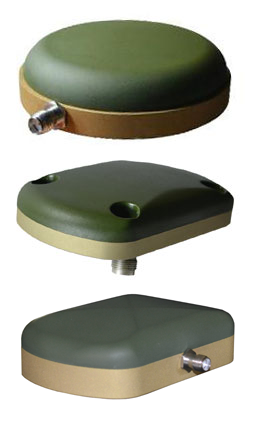 We also manufacture our RA-1 Antenna in two versions - Round and Oval - as both are used in ongoing military programs. The RA1 and RA2 Antennas have also been put through comparsion testing by an independent 3rd party and have outperformed the OEM versions in several categories such as power consumption and multi-path mitigation. Please call us today for QUANTITY DISCOUNT PRICING @ 1-888-809-6105. 3-D Marketing was the prime vendor to the DoD on Rockwell Collins' PLGR accessory cables when they were purchased through DLA Centers. We are one of the only manufacturers that carries inventory on the more popular PLGR cables, i.e., Remote Antenna cable, PLGR-PC, PLGR-PLGR, Vehicle Power cable, etc. 3-D is a Dealer on all Hemisphere products. Please call for pricing. 1-888-809-6105 or 858-756-8463.